Some 300 informal settlers in Bulacan trooped to the National Housing Authority (NHA) provincial office in Balagtas to demand approval of their housing applications that date back to 2015. “Three years is too long to wait for housing for the poor. We have complied with requirements. We are willing to pay amortization. What is taking the NHA that long? In the meantime, housing units lie vacant and rotting in San Jose del Monte and other relocation areas,” argued Ver Estorosas, head of the Bulacan chapter of Alyansa ng Maralitang Pilipino (AMP), which organized the protest action. 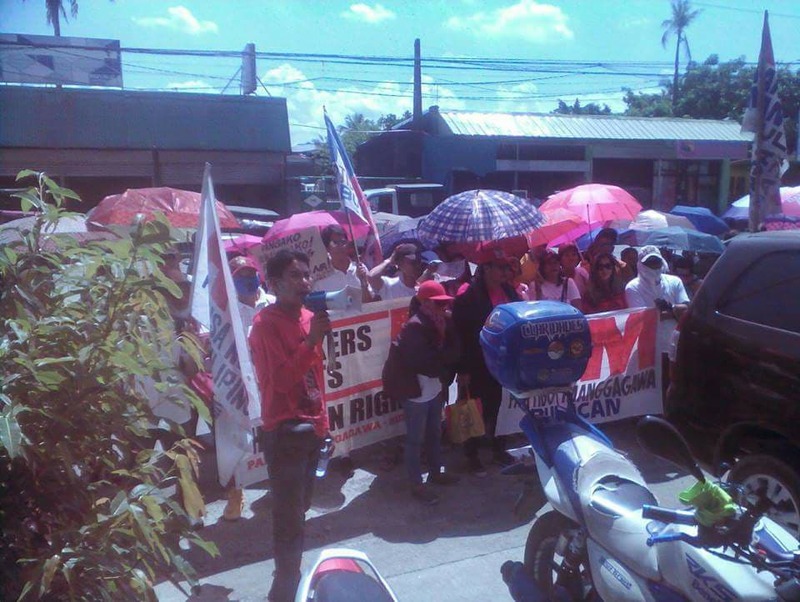 The rally today is the latest in a series of protest actions at the NHA Bulacan. Yesterday, informal settlers who occupied the Pandi relocation area had a rally. Last Friday, a hundred members of AMP-Bulacan trooped to the NHA Balagtas but no officials came out to dialogue with them. AMP, a nationwide organization of urban poor and informal settlers, called on NHA to negotiate in good faith with the protesters. It is their second time to rally at NHA in a week's time. The group is criticizing the utterly slow pace of the National Housing Authority in providing socialized housing for the poor. Hundreds of urban poor families have waited for three years for the NHA Bulacan to process their applications for relocation. Of almost 700 potential beneficiaries, only 81 have actually been relocated. Almost 100 families have already been qualified but have yet to be relocated. In addition, AMP has submitted 200 more names for pre-qualification. All the poor applicants were vetted by the provincial government. In April last year, a hundred of them rallied at the NHA Bulacan to press for the demand for socialized housing. In a dialogue, the NHA promised to expedient the processing. The urban poor families filed their applications in 2015.